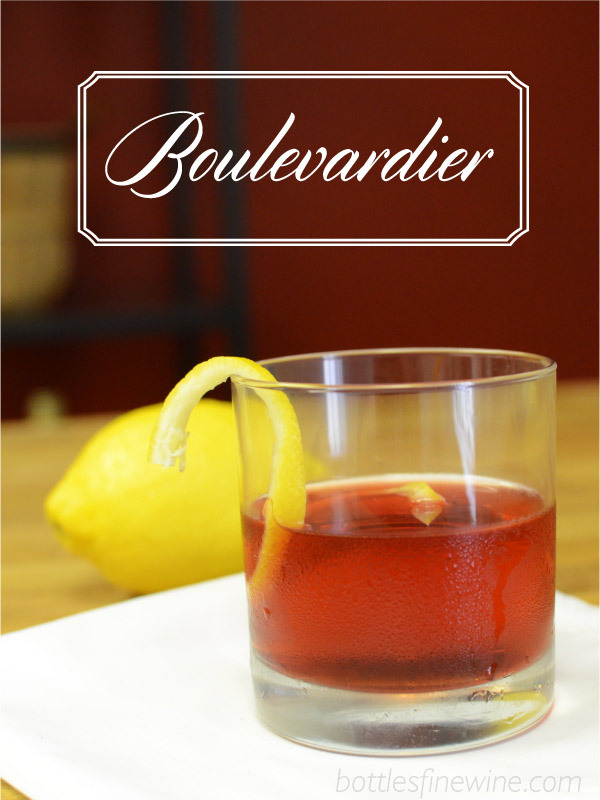 A Boulevardier cocktail is a classic, Pre-Prohibition drink. With only 3 ingredients (bourbon, Campari, and sweet vermouth), a Boulevardier is easy to make at home, or even in larger batches to share with friends for fall time. This cocktail with a goofy name is a variant on a Negroni, a classic cocktail made of equal parts gin, Campari, and sweet vermouth. In a Negroni, you are seeking balance in the components; bitter Campari tempered by sweet vermouth, with the gin adding punch and floral overtones to the whole. With a Boulevardier, you replace the gin with bourbon, and raise the ratio of the bourbon a smidge. This results in a sweeter cocktail, and I find it helps to tame the bitterness of the Campari more so than just gin & sweet vermouth. 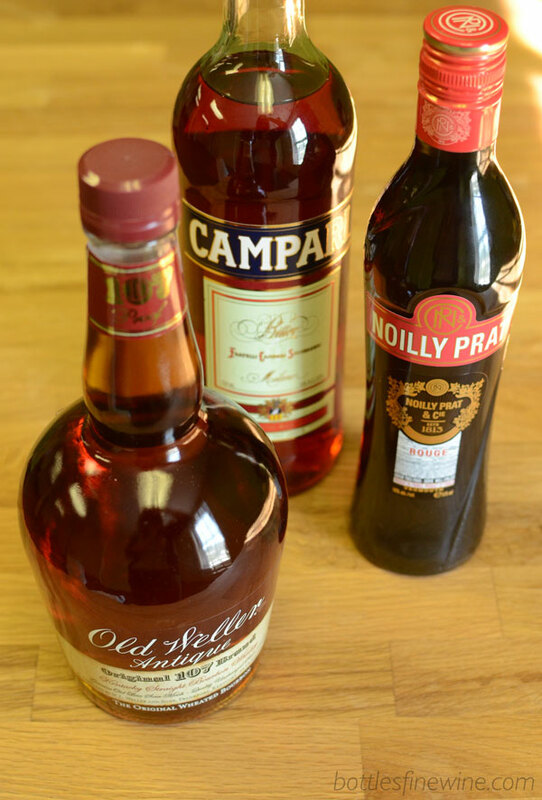 It’s a brilliant drink to have before dinner, as the bitter-sweet flavor and slightly acerbic finish of the Campari will get your gland salivating and ready for dinner time. Here the amounts to create a pitcher for guests. This will be about 6 to 8 servings. Visit our store in Providence, Rhode Island for all your cocktail needs. Subscribe to our YouTube channel for more cocktail recipes. This entry was posted in Cocktails and tagged boulevardier, bourbon, campari, cocktail, vermouth on September 24, 2013 by bottlesfinewine.